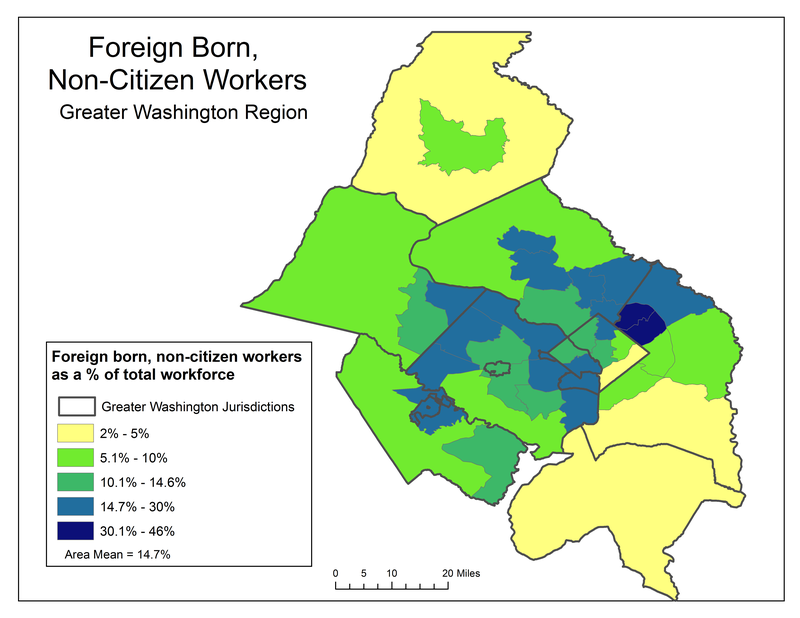 As a part of the new working paper series, the Center for Regional Analysis has put together an analysis and characterization of foreign-born, non-citizen workers in the Greater Washington region. 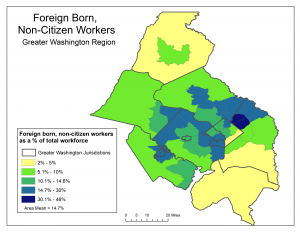 Foreign-born, non-citizen workers account for 462 ,000—or almost 15 percent—of the approximately 3.1 million workers in the Greater Washington regional workforce. Less than 20 percent of Foreign-born, non-citizen workers arrived since 2010. 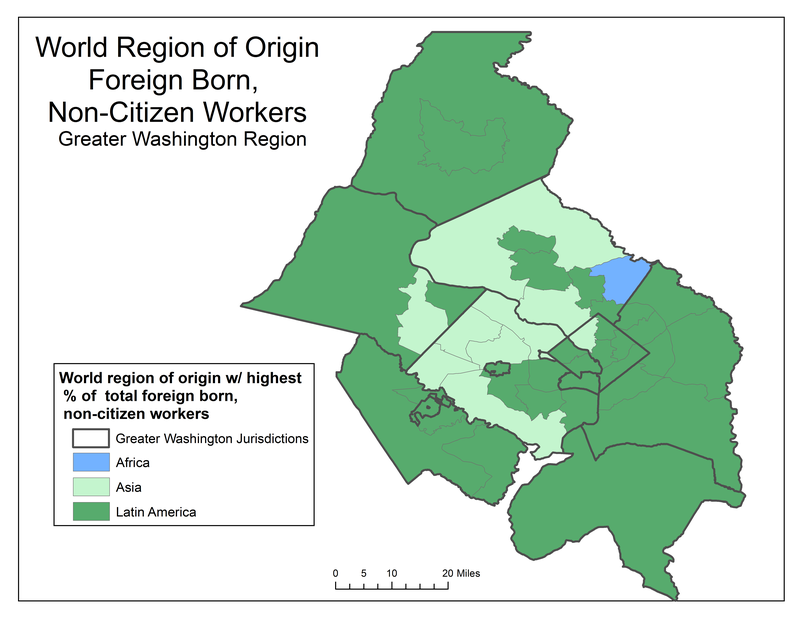 Almost 1 in 4 of the Greater Washington region’s foreign-born, non-citizen workers come from El Salvador, making it the region’s most common country of origin. Employers in the construction and hospitality industries rely heavily on foreign-born, non-citizen workers. Approximately half of the workers filling construction, and cleaning and maintenance occupations are foreign-born, non-citizens. Roughly one-third of the region’s food service workers are foreign-born, non-citizens.